From coffee shops to workspaces, we gather around other people—who we may or may not know—as much for the atmosphere as for any specific conversation, collaboration, or task. Increasingly, we are occupied by a myriad of devices that connect us to others beyond the physical space we occupy. This immediately disconnects us from those in the here and now. Personal Billboard is a design exploration that engages people to interact and express who they are to those in the same proximity using a dual-screen laptop (a laptop that has an additional screen on the cover of the device). 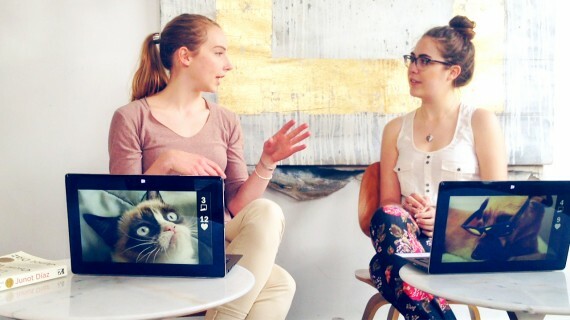 We believe there is an opportunity to create connections between people in the same physical space through digital expressions on a dual-screen laptop. We developed a Windows 8 app that lets people quickly post text and images to the external-facing screen of the laptop. Other people in the same proximity can interact with that content digitally (by “liking”, voting on, or getting a copy of displayed content), or they can begin a conversation that wouldn’t have otherwise happened without Personal Billboard. This project redefines what it means to be social with a digital device. In any social situation, people are expressing themselves through different means—it could be the imagery on a t-shirt, stickers on a phone or laptop, and even simply by the words they use in a conversation. These modes of self-expression are used by everyone and they change based on who else is around us (most of us would dress and speak differently during a job interview than we would hanging out with friends). This wide range of contexts and moods means that Personal Billboard is not designed for a specific group of people with a specific purpose; rather, this experience is for anyone who wants to connect to others around them (and it is the user’s decision how they want to express and engage with others). To understand how people would use Personal Billboard, we continuously deployed the prototype with different audiences, such as people in coffee shops, groups of friends in social situations, and people in offices and collaborative workspaces. Based on interviews and observations, we found that people developed their own voice and purpose for the experience, which was strongly influenced by who was around them and what other people were posting. For example, a group of fourteen year-old friends wanted to host a slumber party so that they could continue posting images about “Pickle-us Cage” (Nicholas Cage as a pickle). Colleagues at an office, who all knew each other well, discovered common interests (like soccer) that they didn’t know existed previously. This research provided a solid first step toward understanding the interplay between people’s personalities, the context, and what content was posted. Moving forward, Personal Billboard will be evaluated at a 300 person conference in New York with the aim to understand how it is used for a collaboration task. We believe Personal Billboard will become a tool for enhancing knowledge sharing— where the purpose shifts from being a social experience for individuals to a collective experience for communities. Personal Billboard grew out of our global ethnographic research, which explored the ways in which people use and think about their laptops in conjunction with the other devices they own. 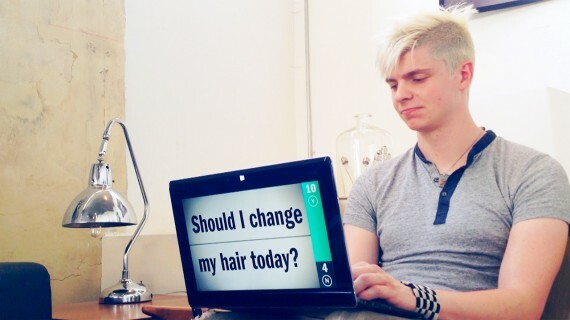 This research led to Personal Billboard, which was intended to disrupt our impressions of a laptop and transform it to be more relevant in more contexts, more of the time. Our guiding principle in this project was to keep the experience simple—we wanted to give people a streamlined, intuitive tool to express themselves. Through a series of design workshops, we honed key interaction decisions, which were validated by working prototypes. To test our initial design assumptions, we deployed the prototypes with design students, industry experts, and potential consumers. Using their feedback, we refined the design to emphasize the dynamic nature of the experience. Thinking about the future of Personal Billboard, we explored how the experience would evolve to accommodate a variety of platforms and form factors—these include smartphones, shared public displays, and social networking sites.